Eight years since her grandfather tried to kill her, Courtney has suffered strange dreams and delusions of aliens standing over her bed. What was the motivation to write a young adult book that deals with emotional and mental trauma? 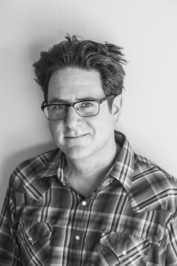 My motivation to write a young adult book that deals with emotional and mental trauma came from my own childhood experience, and the desire to present teen readers with a fantastical story that doubles as a road map out of suffering alone. Alienation is a story that demonstrates what happens when you burry childhood trauma: it comes back, creeps up from your unconscious, and continues to traumatize you until you deal with it. It is also a story about how powerful and resilient the human mind can be. No matter how different or damaged you feel, you are not broken! I suffered debilitating anxiety as a child and throughout my early adult life. My anxiety was caused by previous traumatic experiences, or more specifically, by my inability as a child to deal with the frightening emotions that resulted from my experiences. Unfortunately for me, as opposed to seeking out help and discussing my growing fears and feelings of hopelessness, I did my best to bury those emotions and any memories that had to do with them. This only resulted in more anxiety, fear, and loneliness. I became afraid of my own mind—the horrible thoughts and feelings it created. Nobody likes feeling frightened or hopeless or lonely. It’s extremely uncomfortable, and can quickly become overwhelming. Fortunately, we all have these types of feelings from time to time, and they are nothing to be ashamed. Nor is the trauma behind them. The way to make these horrible feelings go away is not to bury them like I did. It is to talk about them and any traumatic experience the feelings are rooted in. Now, that said, I did not want to simply write a book about girl who is suffering emotionally as a result of past trauma, and show her dig into her past and resolve her issues. While it was important for me to present that story line, complete with a road map out of suffering, I also wanted to challenge the idea of mental illness and the stigma of being different. I wanted to challenge the idea of what is ‘real?’ What is ‘normal?” And what in the world is wrong with being ‘special’ or ‘unique?’ So with this in mind, I wrote a book about a teenage girl who is traumatized by past events and must dig into her past to resolve them. But when she does so, she discovers two things: 1) she is not so crazy after all, but very different in a gifted way; and 2) not only does she have to wrap her head around the discovery that she is different, but she has do it quickly, because the survival of the world depends on her embracing her unusualness. Courtney, as well as the other characters, are well developed. Did you use anything from your own life to help develop these characters? Courtney’s mom could be seen as a horrible selfish person who is more concerned with her daughter appearing to be a normal popular high-schooler, than she is with her daughter’s actual mental health. This was a huge exaggeration of my parents. But let’s face it, there are parents who are so concerned with the image their child presents, and with their child’s accomplishments and accolades, and how their child‘s image reflects on them as parents, that they ignore their child’s emotional needs. The same could hold true for teachers, peers, siblings, or the criminal justice system. I’m not playing the blame game here. But kids and people of all ages are hurting. The way to help one another is to talk about how we feel, help one another understand our feelings. So Courtney’s mom, the character who is most criticized by book reviewers as being too mean or too horrible of a parent, is to me, one of the most important characters in the book. By far she has more impact on Courtney’s life and her mental well-being that all of the bad guys Courtney is forced to face off against, and if you’ve read the book, there are some pretty unsavory characters who put Courtney through the ringer. As for Agatha, I never had a friend like her, but I certainly wish I had. She is a badass, alien and Norwegian black metal obsessed chick with mad sleuthing skills and enough life experience to know that the first step in healing is to tear off the bandage start repairing yourself from the inside out. As to Courtney’s character, I have to admit that I chose to tell the story through a female protagonist, as opposed to a male, because it was too painful for me to write the panic attack and nightmare scenes in first person point of view using a male teen character. It was too close to home. And Courtney being female bought me just enough separation from my own past experience to allow me to dig into the dark areas. I understand that you have a graduate degree in law. How did you think that has helped you in your writing? A law degree, or let’s say the experience of law school—where you spend three years learning to be analytical and precise—had a great impact on my story developing skills. My fiction doesn’t involve law, or courts, or crime investigation. Yet, what I took away from law school was that there are not merely two or three sides to every story, but more like one hundred and three sides. So, in my writing and story development, the analytical part of my brain developed in law school helps me keep asking ‘what if’ over and over and over, until I find exactly what I feel a scene or character’s decision should be. That said, I may have been better off spending those three years in a doctoral or masters of fine arts creative writing program. Who knows? What is the next book that you are working on and when will the book be published? Currently, I am working on a couple projects. 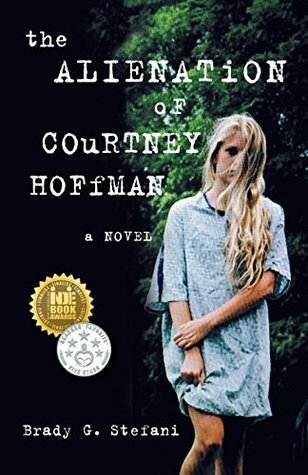 But my main focus is a sequel to The Alienation of Courtney Hoffman. I left a few balls up in the air at the end of that book, and I am really excited to pick up the story where Alienation ended. Alienation was written as a standalone book. By that I mean there is certainly resolution of the conflict by the book’s end. But at the same time, I spent quite a bit of time (or words) setting up a situation for my characters that is not going to go away overnight. So, I have a really great adventure I am writing where the bad guys strike back, and some of the same protagonists, now more mature but also damaged, use what they learned in Alienation to conquer great obstacles. I think it is going to be a really exciting read. Given that the stage was set (the world-building laid out) in Alienation, in the second book I am able to focus more on the meaning of things, and the psychology of the characters. As I mentioned earlier, the universal difficulty and often confusion that is involved in developing psychologically from a child to an adult is of great interest to me. While Alienation is the fast-paced story of Courtney’s journey of self-discovery and her physical battle to save herself and the world, I tried to allow the reader to discover along with Courtney the emotional impact that past events were having on her. That is what rings true to me in a good story: Not defeating the bad guy, but letting readers in on what it feels like for a teenager to be forced to push themselves to explore and overcome their fears to achieve a higher level of self-awareness. So, to put it bluntly, after having written Alienation, I cannot just sit around and wonder what psychological impact the events of Alienation had on Courtney and the other characters. They went through a traumatic ordeal of epic proportion. They are no doubt affected. But rather than hide from their new understanding of the world, and burry their painful emotions and memories, these characters have learned there is a better way through. Courtney is a unique person, with unique gifts, and she has a calling. But like every other human being, in order to tackle new dilemmas, be they epic and otherworldly or not, she needs to digest what has happened to her, and take care of her emotion needs. Unfortunately for Courtney, I throw her right back in the fire, forcing her to heal and grow while on the fly. But heal and grow she will, because the world is falling apart around her! I don’t know when the sequel will be published. But I am working at a furious pace.